Hey guys and happy weekend before Christmas! While many of you will be enjoying time with family and chilling, I wanted to check in with you and let you know that I will be knee deep into my laundry room makeover for my partnership with The Home Depot that I will be revealing before the beginning of the year. Well, I realized that I never officially shared the plans, so I wanted to quickly do so in the midst of all of the Holiday stuff you may have going on. If you follow me on Instagram, then you’ve sort of been seeing the minimal progress thats been taking place. By minimal, I mean MINIMAL. First and foremost, I think its important for you to see where we started. The only thing missing is the wire shelf that was above washer and dryer that we took down prior to taking this photo. Next, let’s check out some of my inspiration for this space. Since I am going from side by side, to stacked, I had to figure out the flow I wanted for this space. I knew that the stacked option will give me more space to actually make the space function properly. What I love about these spaces is the pretty way in which the storage items are placed. Plus the ones with the sinks are my favs! The laundry machines that we had before were side by side and worked pretty well, but an upgrade never hurt. 5) slop sink to clean…whatever! Outside of this list, we would like to figure out a way to make the sink look built in. If we can’t then I wont’t stress about it. Other than that, I just want it be a place that is pretty to look at since it is the thing I hate doing the most. I don’t expect this room to make me want to do laundry more, but definitely visually more appealing when I am doing so. So thats about it! What do you think? 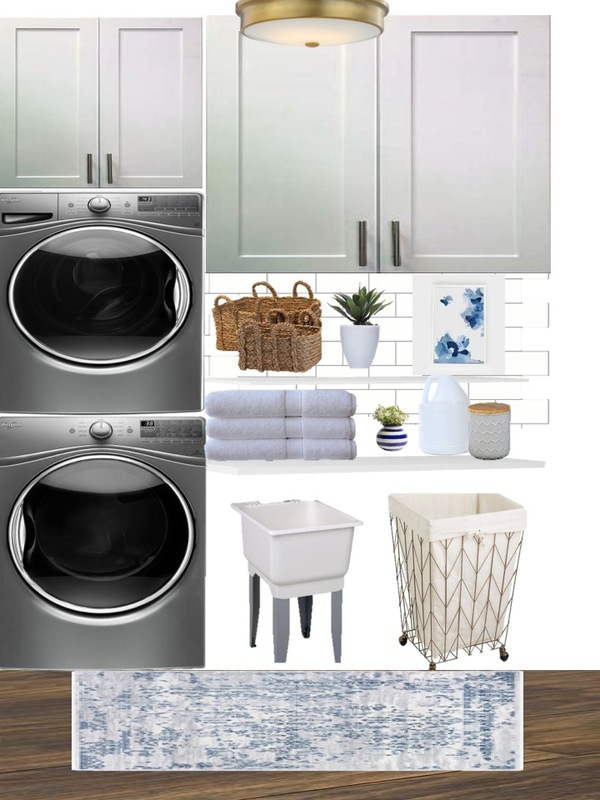 What is on your laundry room must have, or wish list? Thanks so much for taking time out your holiday schedule to read this post. I can’t wait to see the after!! I love it when your updates appear in Instastories. This room is going to be epic! I can't wait to see the fabulousness you create!